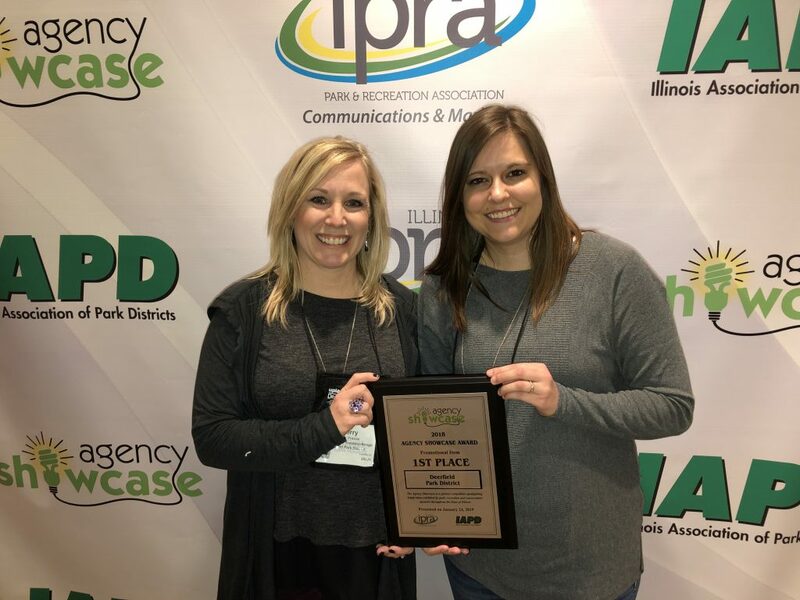 Deerfield Park District is proud to announce its first place win in the IPRA (Illinois Parks and Recreation Association) Showcase: Promotional Item category. Showcase is a spirited competition spotlighting bright ideas exhibited by park, recreation and conservation agencies in marketing and communications. The professionally judged competition recognizes Illinois agencies for their marketing and communication efforts ranging from print to multimedia. 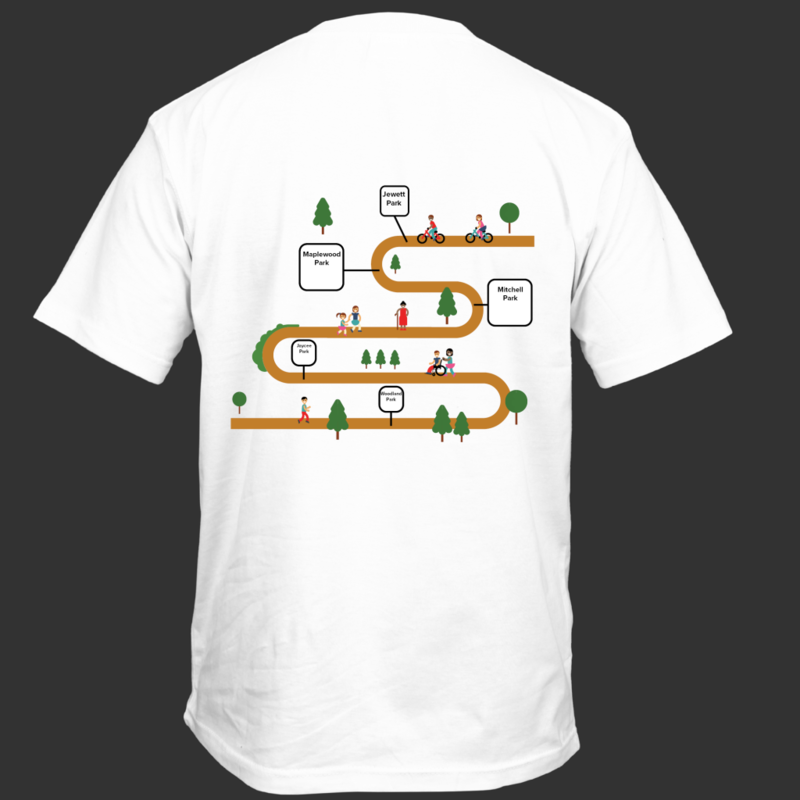 For our Promotional Item, we submitted the tee-shirts from the Walk, Ride and Roll event held in August. Walk, Ride and Roll is a community wellness event encouraging residents to get active in Deerfield Park District parks. By choosing healthy modes of transportation such as biking, walking, rollerblading or scootering, participants travel to five parks, getting their passport T-shirt marked off for participating in recreational activities at each park. We wanted to eliminate the paper passport that was used the year prior and align with our district strategic plan focusing on “green” initiatives. By creating a passport that imprinted on the back of the shirt in the format of a “park map”, we succeeded with our objective. The map included illustrations of participants portraying diversity, abilities and using modes of healthy transportation. Close to 100% of event participants wore their shirts at the event which advertised the event throughout Deerfield as families traveled from park to park. We are thrilled by the honor received from IPRA and look forward to you joining us for another fantastic Walk, Ride and Roll event. Save the date for Sunday, August 25, 2019!